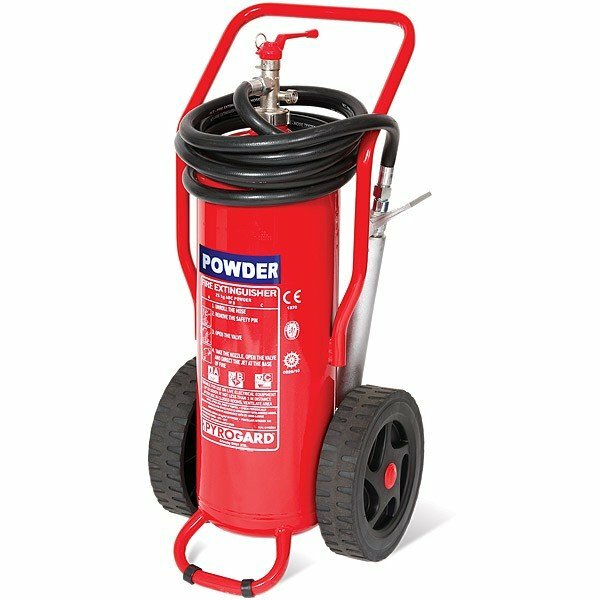 With large solid wheels to cover rough ground, the 50kg powder fire extinguisher is supplied full and pressurised and is designed for easy operation by one person. 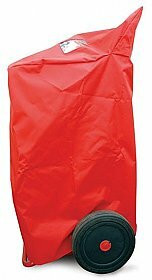 EN 1866 and MED approved for marine use, this is a stored pressure version that can be maintained and refilled by any service company. Despite being a lot bigger than a portable fire extinguisher, wheeled extinguishers are surprisingly easy to use. Just turn the large red lever at the top, pull the large nozzle out of the holder, uncoil the 5 metre hose, head towards the fire and twist the lever on the nozzle.